Based in Sussex, Roger Mallock is a Fellow of the Institute of Travel and Tourism and has over 50 years experience in the travel industry. He works freelance as a travel broadcaster, tour manager, speaker, and presenter. Now, he has authored a guidebook for cruise beginners, called 'Cruisemaster: The Book on Cruising for Newcomers'. I was sent a copy of the book and have reviewed it below. Testimonials from travel industry representatives vouching for Roger's travel experience plaster the book covers. The book starts with another testimonial before a foreword written by Gerard Tempest, Chief Commercial Officer for Carnival UK (the brand behind P&O Cruises, Princess Cruises, and Cunard). This introduction whets the reader's appetite and acts as another author testimonial. Another testimonial follows before the table of contents. A brief introduction succinctly explains the premise of this book. Roger states that he assumes that the readers will typically be "new to cruising". He continues to introduce the world of cruising and the current condition of the industry. The introduction to cruising section explains the type of person that typically takes a cruise and offers some reasons people choose a cruise holiday over a land-based getaway. Each section opens with a famous nautical quote and covers a key aspect or benefit to cruising. Reading the book with my cruise newbie hat on and I think the book covers all the key areas I had questions about before I booked my first cruise holiday. Chapter One explains the benefits of a no-fly cruise from Southampton and what to expect on your first afternoon onboard. I would have liked to see a reference to other popular cruise ship ports located around the country including Dover and Harwich (amongst others), and how the no-fly cruise experience from these compares to Southampton port. Chapter Two looks at what to expect on your cruise but puts the most focus on the food, the spa, and the bars. Roger looks mostly at the optional extras you can pay for onboard including spa treatments, drinks from the bar, and a brief mention of the speciality restaurants. Chapter Three spans a mere four pages and seems to be a bit lost as it briefly discusses optional extras available onboard (which would sit better in Chapter Two) before moving onto the benefits of no-fly cruising. It also discusses the cashless system used onboard cruise ships before rounding off with a two-page "A to Z of cruising" where each letter of the alphabet reflects an aspect of cruising. It is whimsical, but it is unnecessary for this type of book. Chapter Four looks at the range of cabins you can typically find on most cruise ships. Focus also draws on single cabins for solo travellers and accessible cabins for disabled passengers. There is a handy section on considerations to bear in mind when deciding which cabin to choose for your first cruise holiday. Chapter Five looks at one of the main focal points of any cruise - the vast choice of food. This chapter discusses the dining options available throughout most days on a cruise plus the speciality restaurants that attract a surcharge. I would have liked to see more specifics, but I understand that this is a general guide, so that makes it difficult for the author to give examples without introducing bias. Chapter Six covers the entertainment onboard. It is not all shuffleboard (although that's available on most cruise ships should that take your fancy). While this chapter generalises wherever possible, Roger has chosen to focus on the offerings available on P&O Cruises' Britannia and Royal Caribbean's Anthem of the Seas, both homeporting in Southampton for summer 2015. Chapter Seven looks at the ports of call and what you can expect in general. Roger offers some tips for going ashore and also explains what shore excursions are. I would have liked to see some more detail on what genres of shore excursion are typically available, and the mobility categories used by cruise lines to denote strenuousness. Chapter Eight covers escorted and hosted cruises, a field in which Roger works as a host. He explains what the role of a host is. As this is something I have not had experience in, I did find this section informative. Chapter Nine discusses the service levels on board, and I think Roger does a great job in explaining why the service levels are outstanding. Personally, the most memorable aspect of my first ever cruise holiday was the staff onboard. The service is simply out of this world, and the staff are what blows traditional land-based holidays out of the water by comparison. Chapter Ten stitches everything together and explains how to book your cruise. Roger looks at the factors that you need to bear in mind when booking a cruise if you want a good deal. The main text concludes with a small chapter on health and safety. It may sound dull, but it contains loads of tips to stay safe, fit, and healthy on a cruise ship holiday, onboard and ashore. The book is a good introduction to cruising holidays. It covers all the fundamental aspects without bewildering or baffling the reader. The book lacks a depth of detail in some areas. The book reads as if it aims at middle-aged readers, although it does contain information that applies to virtually all cruise holidays, so it is worth looking at regardless of age. The content doesn't raise any questions in my mind, but I did crave more depth in places, particularly on facilities, experiences, and practicalities. I understand there is a limit to how detailed you can make a general guide without it becoming a niche product. That said, this book certainly has the potential to be a "definitive guide to British cruising" guide by expanding each of the chapters with more in-depth detail. If you have never been on a cruise holiday, this book offers a good insight into what to expect. The book contains sections that cover the key aspects of a cruising holiday without overloading you with too much information. If you have cruised before, I do not think you would learn anything new from this book. Given that the sub-title is "The Book on Cruising for Newcomers," this is understandable. 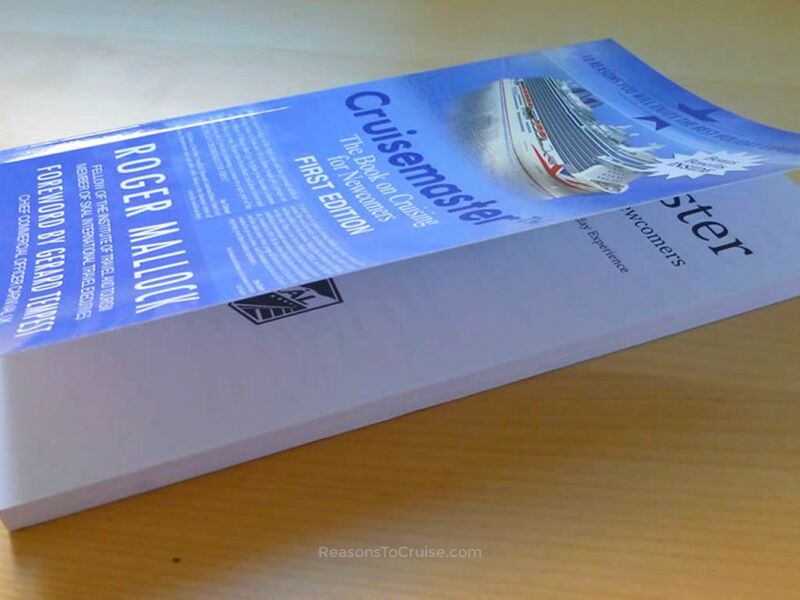 You can buy the Cruisemaster book from Amazon°. It has an RRP of £18.99. Have you read 'Cruisemaster: The Book on Cruising for Newcomers'? What did you think of it? Leave a comment below. 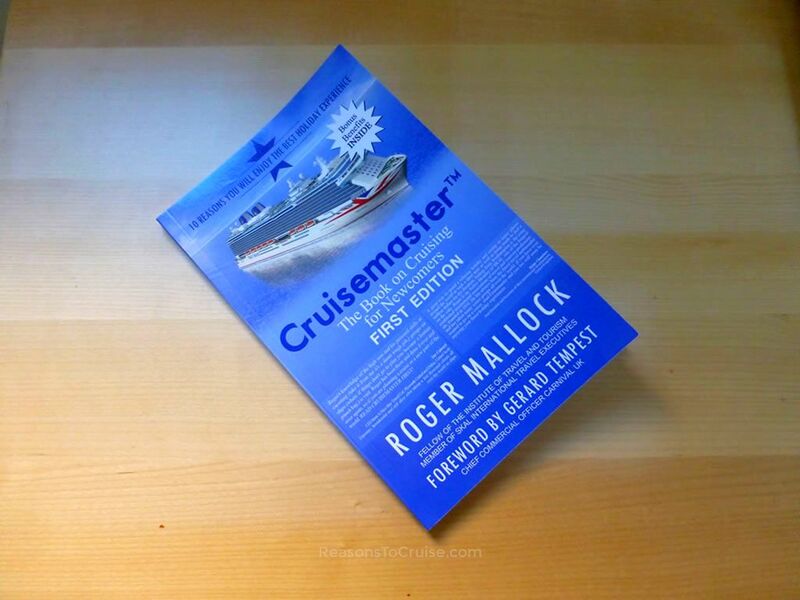 Disclosure: I was sent a complimentary copy of 'Cruisemaster: The Book on Cruising for Newcomers' by Roger Mallock. My opinions are my own. Perfect for beginners, this book explains, at a high level, what to expect on a cruise. Seasoned cruisers will likely not learn anything new in this book, limiting its appeal.